Knightfall is an American 60 minute scripted history television series, which kicked off on December 6, 2017, on History and is broadcast every Wednesday at 22:00. The show is currently in its 2nd season. History has officially confirmed the renewal of Knightfall for Season 3. The exact release date is yet to be announced so far. Sign up to track it down. Season two will explore this dark time in history from the Templar perspective, embracing an authentically grittier, darker, and more brutal Medieval period than has ever been seen before. 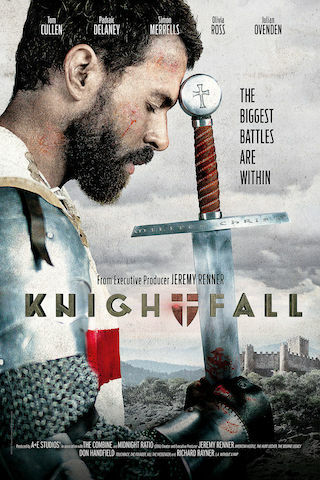 "Knightfall" goes inside the medieval politics and warfare of the Knights Templar, the most powerful, wealthy and mysterious military order of the Middle Ages who were entrusted with protecting Christianity's most precious relics. The story of the Knights Templar has never been fully told until now, and "Knightfall" goes deep into the clandestine world of this legendary brotherhood of warrior monks to learn who these knights were, how they lived, and what they died believing. Season two of "Knightfall" is currently in production in Prague.